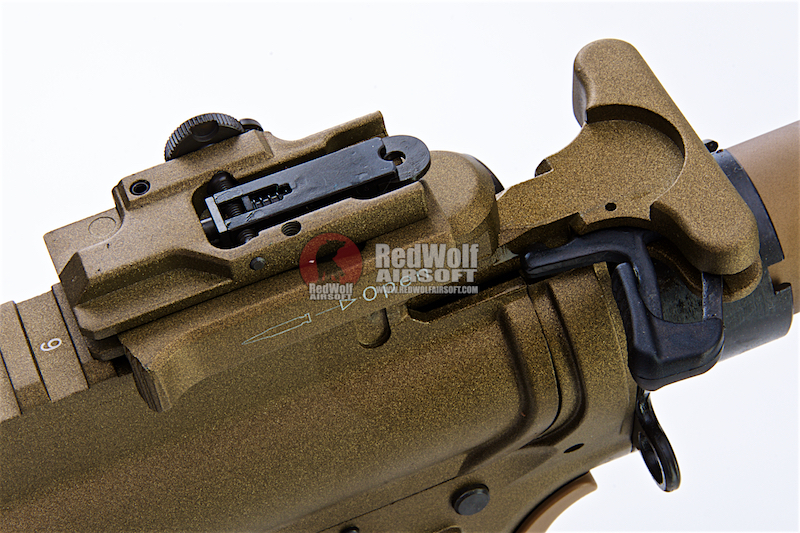 Authentic replication of the real steel version with correct markings. 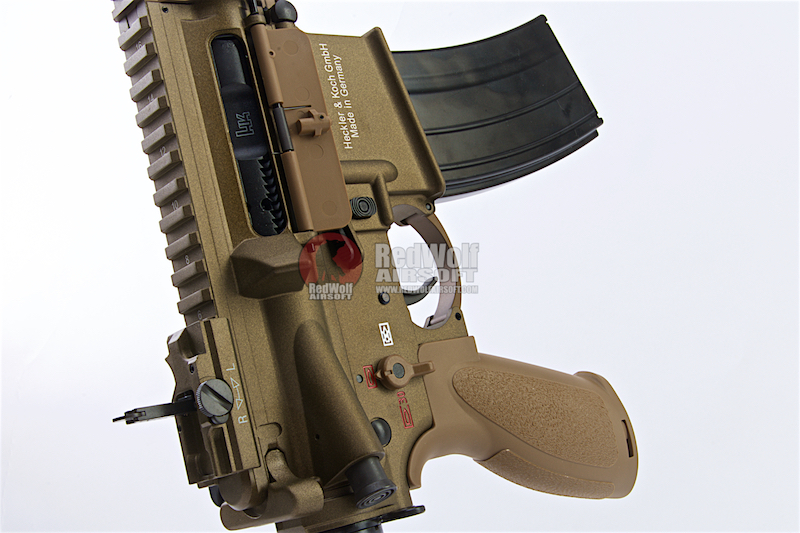 Magazine Compatibility - VFC M4 GBBR Mag. 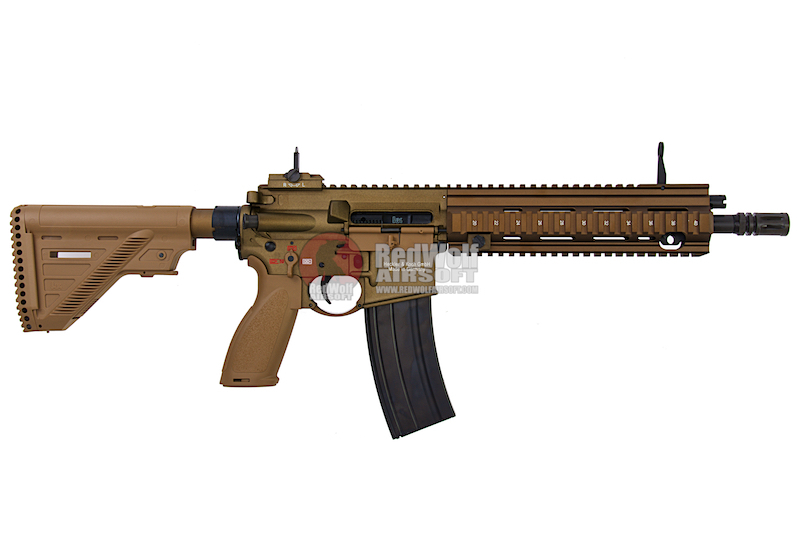 The HK416 A5 is a further development of the HK416 assault rifle in 5.56 x 45 mm NATO calibre. 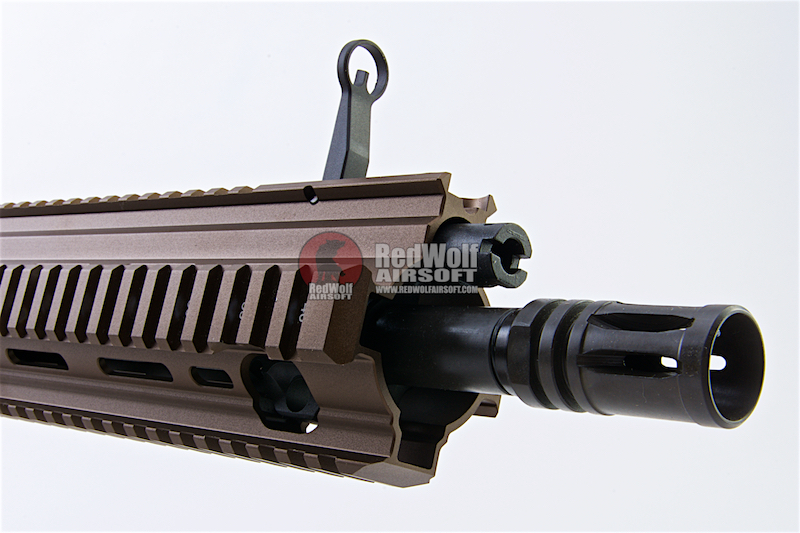 The most striking changes compared to its previous versions as well as to market available AR platforms include an improved and tool-less gas regulator for suppressor use, a redesigned, user-friendly lower receiver, which allows complete ambidextrous operation of the weapon and ensures optimised magazine compatibility, as well as numerous technical improvements to maximize the operator safety, reliability, ammunition compatibility and durability under real operating conditions. 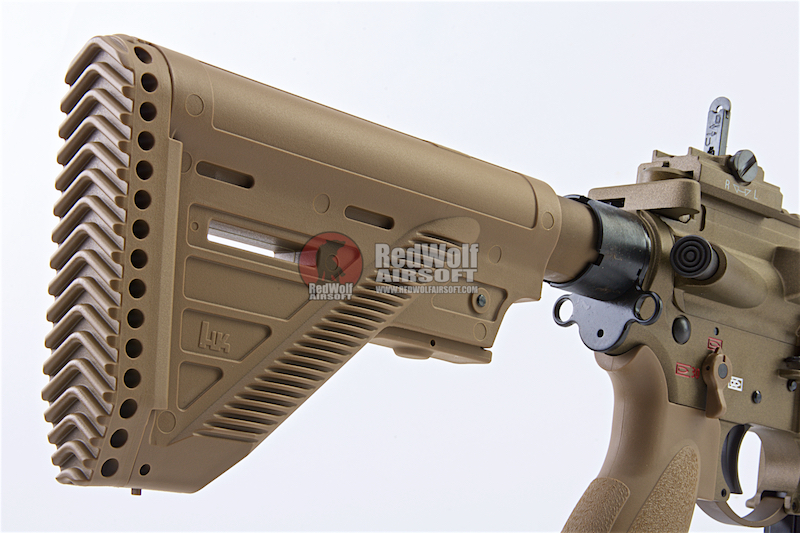 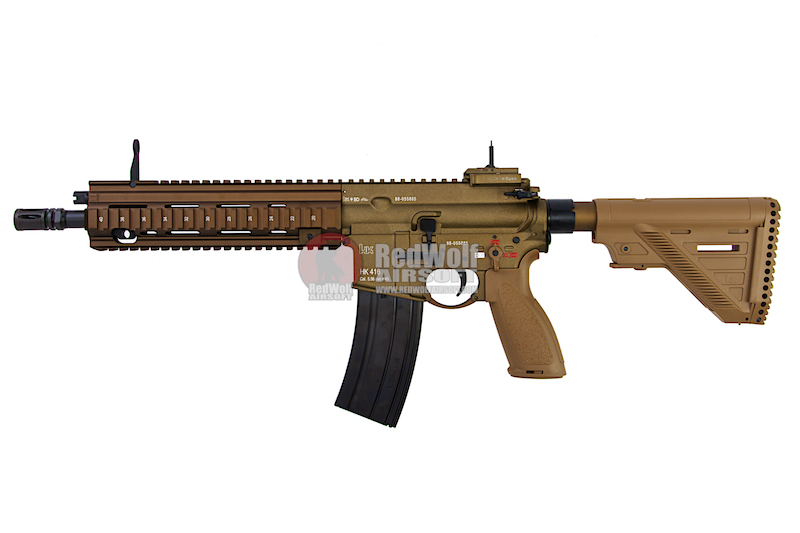 x1 x1 Umarex (VFC) HK416 A5 GBBR - TAN (Asia Edition).